Independence Day in Russian America? What Shall We Do With Our Heroes? 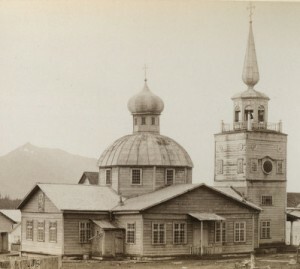 St Michael’s Russian Orthodox Cathedral at Sitka, Alaska. Photo: Wikimedia Commons. The 150th anniversary of the Alaska Treaty of Cession was 2017. For $7.2 million the United States purchased the territory Russia claimed in North America. It was an event of political, economic and social consequence for many people, especially for the Native and Creole people living in Alaska. On March 30, 1867, U.S. Secretary of State William H. Seward and Russian Envoy Edouard de Stoeckl signed the treaty in Washington, D.C. Less than seven months later, on October 18, the ceremonial transfer took place at Sitka and the U.S. replaced the Russian administrators. To commemorate the significant event, the Alaska Historical Society coordinated a statewide calendar of celebratory events, promoting discussions by posting a series of articles, images and documents on this website, and providing links to sources for additional information along with news about commemoration activities. In 2015, 2016, and 2017, the Alaska Historical Commission awarded $257,308 for 25 projects to commemorate the 150th anniversary of the Alaska Treaty of Cession. The purpose of the program was to commemorate the treaty and contribute to a better understanding of it and Alaska at the time. More information about recipients and their projects can be found HERE. For more about Alaska’s year of celebrating the 150th Anniversary of the Treaty of Cession, see: “Sesquicentennial Matters in Alaska” by Anna Lee Hirschi published by the National Council on Public History in March 2018.